Earth, Air, Fire, Water, Above, Below: all these combine to form the beautiful planet we live on. How can we best love and appreciate our Home? 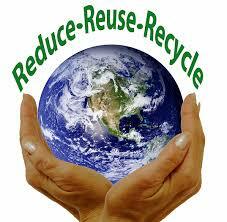 How can we best preserve it as a nurturing Home for us? The Singing Group is honored to sing songs in honor of our beautiful earth for this Earth Day service. This Easter multigenerational service will continue the lessons learned from Dr. Brené Brown’s 2017 book titled “Braving the Wilderness,” which explores the quest for true belonging. Today, we’ll explore Inextricable Connection. Our lives are full of examples of these sacred experiences. Easter is a day when we celebrate both the pain and joy that coexist in life, and how both transform us. We will look at what Émile Durkheim calls collective effervescence, the magic that can be found in religious ceremonies with communal emotion. Come and be transformed by being a part of something larger than ourselves. The Singing Group will provide beautiful and thoughtful music for Easter morning. UUs value the seven principles which guide us as we navigate our life. As we work to confront oppression in today’s political climate, these values are more important than ever. Join us as we explore the climate crisis, how this intersects with multiple justice issues, and what we are called to do to create change. Laura Wagner, MSW, is the Executive Director of UU Mass Action, which is the State Action Network for Unitarian Universalists in Massachusetts. Her role is organizing and mobilizing UUs to confront injustice and to provide opportunities for us to live our values and principles. Laura Wagner has been a Unitarian Universalist for more than 25 years. During this time she has held many lay-leader positions, but her primary focus has always been social justice. Terri Hansen & Helen Brandt will sing solos and duets, including an original composition by member Alice Rohr. 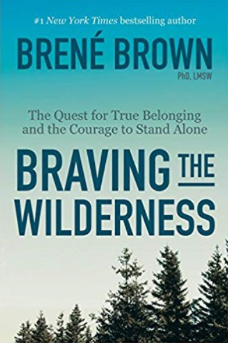 Dr. Brené Brown’s 2017 book titled “Braving the Wilderness” explores the quest for true belonging, and it leads us to the idea we’ll explore today: Conflict Transformation. People are hard to hate close up, she suggests, and she urges us to move in, get closer. Can our posturing cause the trouble we find ourselves in these days? Is there a way forward? Dr. Brown says there is, but we will have to brave the wilderness, and we may confront a spiritual crisis on the way. Join us for worship and discover a new path that leads to transformation. Judy Putnam will select piano pieces to accompany the sermon in our month of transformation. 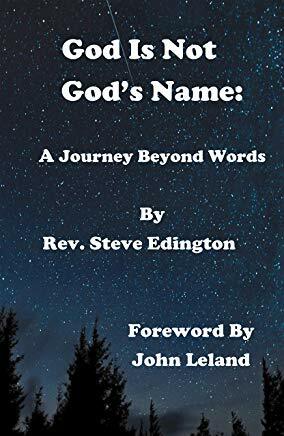 The sermon title is also the title of a recently published book by Rev. Steve Edington. It traces his religious and spiritual journey from an evangelical Baptist church in southern West Virginia to a forty-year career as a Unitarian Universalist minister; and offers some of the insights and conclusions he has come to along the way. His sermon explores how we cultivate a relationship with something we sense is greater than ourselves without getting too ensnared in religious language or terminology. 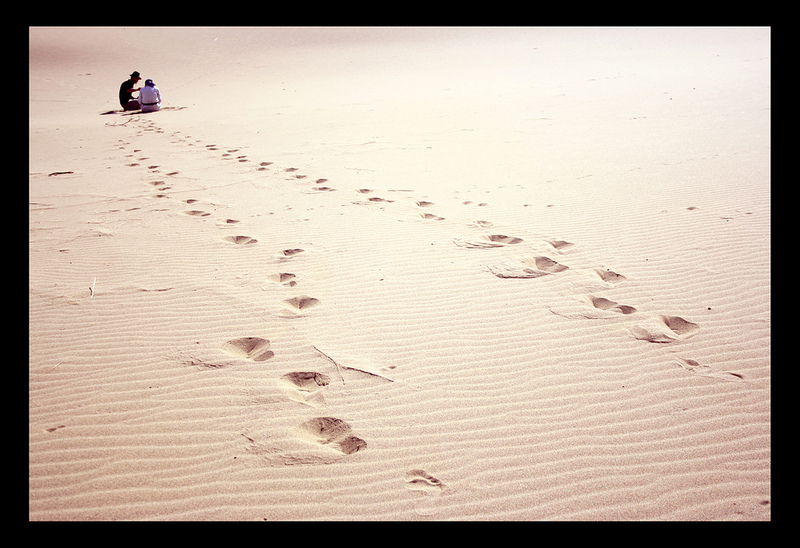 It is part of our human condition to look beyond ourselves for some greater meaning or purpose in our lives. Our various religions have sought to deal with this need—and it is a need we all encounter, however “religious,” or not. we may consider ourselves to be. Steve is the Minister Emeritus of the Unitarian Universalist Church of Nashua, New Hampshire, a congregation he served for twenty-four years. More recently he has been an interim minister for several New England UU congregations. The Singing Group will bring beauty and energy to the message of our guest speaker.